Download the “Superman TAS: Legacy” episode. We wrap up our Thanos vs. Darkseid series by watching the series finale of Superman: the Animated Series, “Legacy.” In these episodes, Darkseid brainwashes Superman into doing his bidding in an attempt to invade Earth. We talk about Darkseid as a character, the show’s metaphor for the eternal struggle between good & evil, and the challenges of fitting a story this big into an episode this short. For past or future shows, visit www.AtomicPoweredSuperCast.com! Download the "All-Star Superman" episode. Look! Up in the sky! It’s a bird! It’s a plane! It’s our first Superman episode! 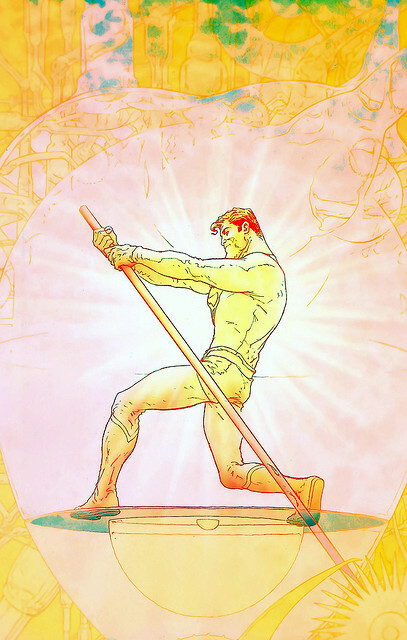 We start off our discussion of Superman with Gran Morrison and Frank Quitely’s “All-Star Superman.” With its near-future setting and abstract takes on classic characters, this may be the best Superman story ever told. For more information on past and upcoming episodes, check out www.AtomicPoweredSuperCast.com.